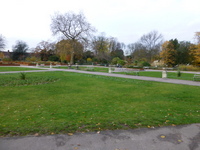 Services / facilities within the grounds include The Aveling Centre, including the Delice Café, community room, Winns Gallery, park keepers' office, first aid and public toilets Community Bowling Centre with pavilion and synthetic bowling green Aveling Park Bowling Green with pavilion and grass bowling green playground and sand pit skate park tennis courts petanque court outdoor gym equipment. Related link for details of the Aveling centre, including the café and toilets. Related link for details of the Community Bowling Centre. 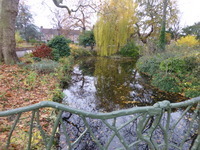 Related link for details of the William Morris Gallery. 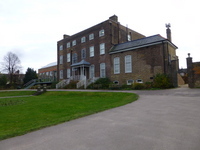 The William Morris Gallery sits within Lloyd Park and the two venues share a car park. The park opens at 8.30am Monday - Saturday and 9.00am on Sunday. Closing times vary according to the time of year. Please consult the website for details. The Aveling Park Bowling Green, which includes a grass bowling green and club pavilion is a private members' club. It was closed on the day of our visit and is not included in the guide. The nearest National Rail station is Walthamstow Central. The nearest underground station is Walthamstow Central. You are on Parking (Bedford Road Car Park). Skip to the next section. 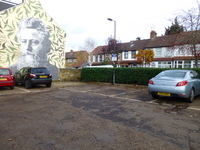 The car park is located off Bedford Road, near the junction with Forest Road, to the right of the William Morris Gallery. 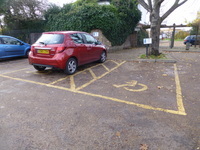 There is/are 2 Blue Badge parking bay(s) within the car park. 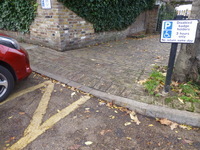 The dimensions of the Blue Badge parking bay(s) are 330cm x 480cm (10ft 10in x 15ft 9in). The nearest Blue Badge bay is 15m (16yd 1ft) from the Car Park Entrance Gate. The furthest Blue Badge bay is 18m (19yd 2ft) from the Car Park Entrance Gate. The maximum height is 210cm (6ft 11in). You are on Parking (Bowlers' Car Park - Aveling Park Road Gate). Skip to the next section. 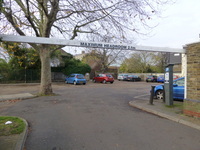 The car park is located off Aveling Park Road, to the east of the park. 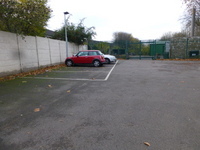 This car park is intended for users of the Community Bowls Pavilion and the Aveling Park Bowling Club. 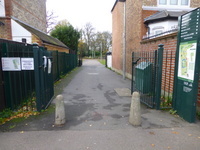 The vehicle access gates may only be open at times when these facilities are scheduled to be in use. You are on Outside Access (Car Park Entrance Gate). Skip to the next section. This information is for the entrance located from the car park into the forecourt of the William Morris Gallery. The width of the door opening is 300cm (9ft 10in). 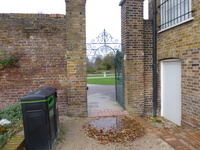 There is brick paving leading up to and after this gate. 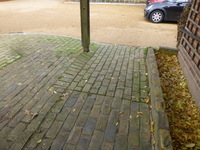 There is then a further dropped kerb into the main forecourt. 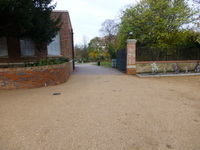 This gives level access into the park using the wide gateway to the right of the gallery. 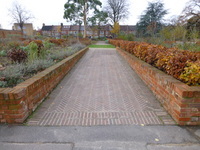 You are on Outside Access (William Morris Gallery Forecourt). Skip to the next section. This information is for the entrance located to each side of the vehicle entrance to the William Morris Gallery forecourt. The width of the door opening is 96cm (3ft 2in). 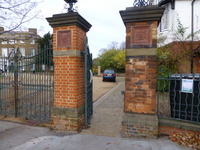 On the far side of the forecourt, to the right of the building, there is level access by very wide entrance gates into the park. 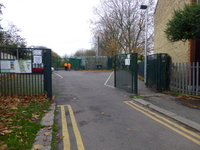 The gates are permanently held open (photograph 3). 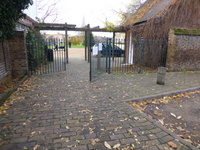 There is an alternative gate, 115cm wide, to the left of the building (photographs 4 and 5). There is an easy slope down towards this gate and an unveven area with a raised threshold in front of the gate. 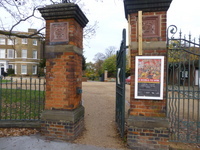 You are on Outside Access (Bedford Road Gate). Skip to the next section. This information is for the entrance located to the east of the park, off Bedford Road. 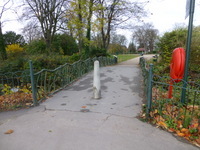 There is a gap of 135cm between the bollards at the entrance (photographs 1 and 2). 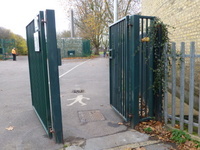 There is a further pedestrian entrance at Aveling Park Road, next to the entrance to the bowlers' car park (photographs 3 and 4). 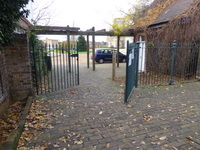 There are also entrances to the north of the park off Cazenove Road and Brettenham Road and several entrances to the west off Winns Terrace. 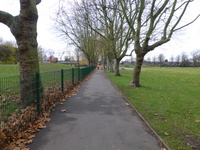 Photograph 1 shows the path leading from the Aveling Road gate into the park, towards the bowling greens. 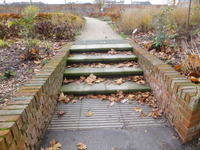 There are easy slopes and ramps in many areas of the park, which overcome the locations where there are steps. You are on Tennis and Petanque Courts. Skip to the next section. 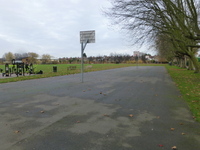 The tennis and petanque courts are locate to the south east of the park, close to the Bedford Road entrance gate. 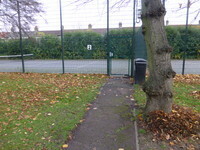 There is level access into the tennis courts from the main path by a level tarmac path. The tennis courts have a tarmac surface. 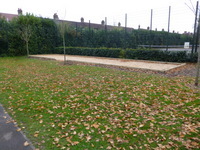 The petanque court is located near to the path leading from the Bedford road gate. 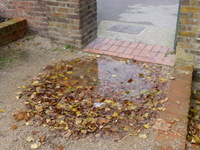 It is accessed across the grass from the main path. 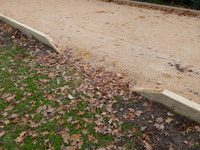 There is a short steep slope to enter the court, which has a surface of compacted sand and gravel. You are on Playground and Skate Park. Skip to the next section. 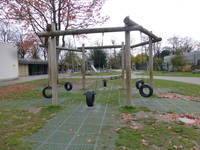 The playground is located in the centre of the park, to the west of the Aveling Centre. There is equipment for younger and older children. 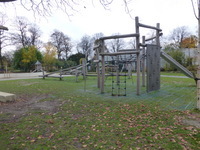 The equipment is generally located in grassed areas with a soft play surface beneath. There are two table tennis tables on a level concrete area within the grass. 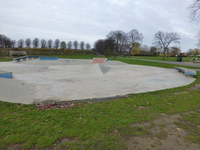 The skate park is located to the north of the Aveling Centre. 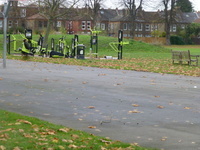 You are on Outdoor Gym and Basketball Area. Skip to the next section. 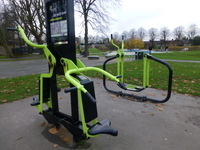 The outdoor gym equipment is located next to the central path through the park and the path from the Aveling Park Road Gate. It is close to the Skate Park and the Community Bowls Pavilion. 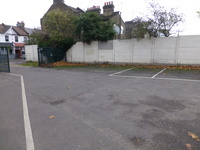 There is also a large level tarmac area with practice basket ball hoops. There are accessible toilets within the Aveling Centre and the Community Bowls Centre. Please follow the links to their access guides for details. 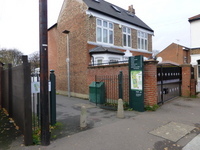 There are standard toilets within the Aveling Centre and the Community Bowls Centre. 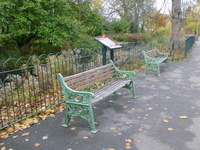 The assistance dog toilet area is located anywhere within the park. There is a link on the park website to a map showing the rules about dog access within the park. There is an area to the north east of the park where dogs may be allowed off their leads.